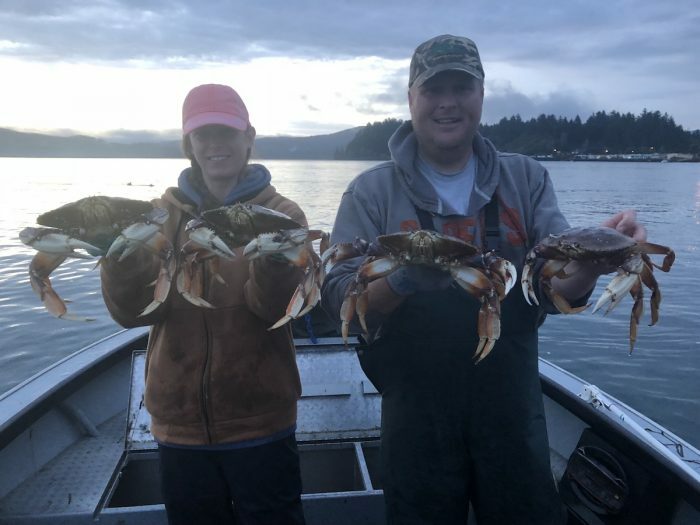 Come with me on an exciting shellfish excursion that will send you home with the best in Northwest table fare! 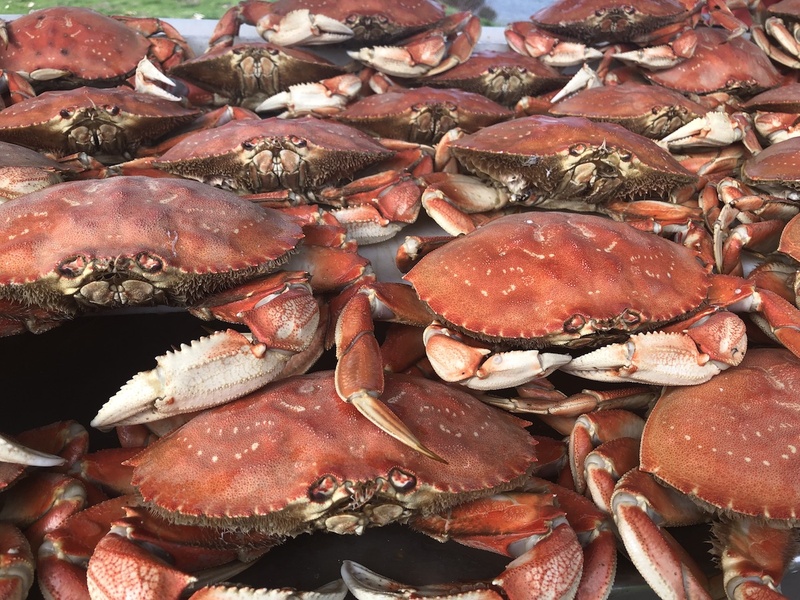 Discover Oregon’s amazing variety of exquisite shellfish with me as your guide! Dungeness Crab are arguably the best seafood on the entire west coast. Most of our Oregon bays are full of them and with the right timing, gear, and bait you will likely come home with lots of big Dungeness crab for everyone! 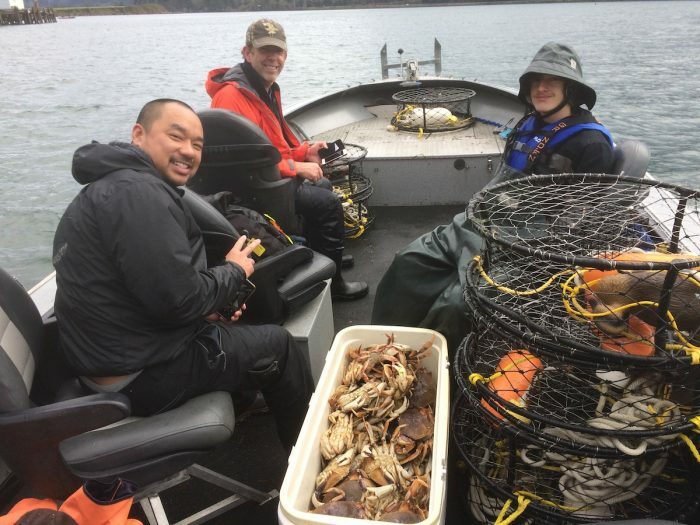 I bring my knowledge and top-notch equipment to make sure you have an exciting and fruitful adventure on one of our beautiful northwest bays. 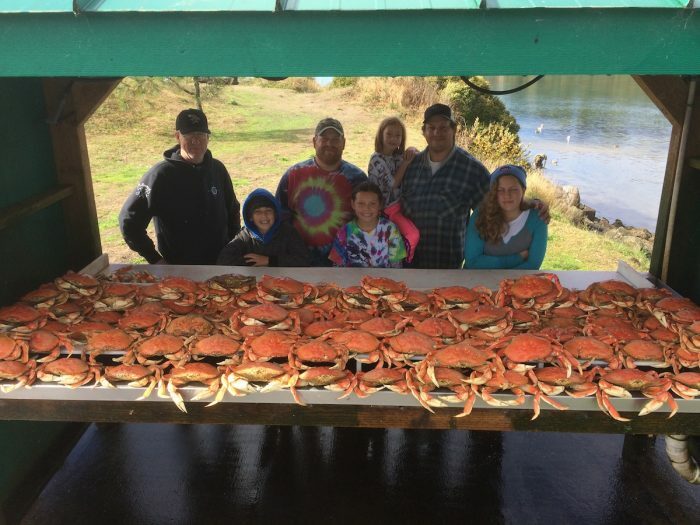 I can accommodate up to 6 paying passengers and these trips are a blast for everyone involved. The razor clam is a delicacy like no other shellfish on our Oregon coastlines. 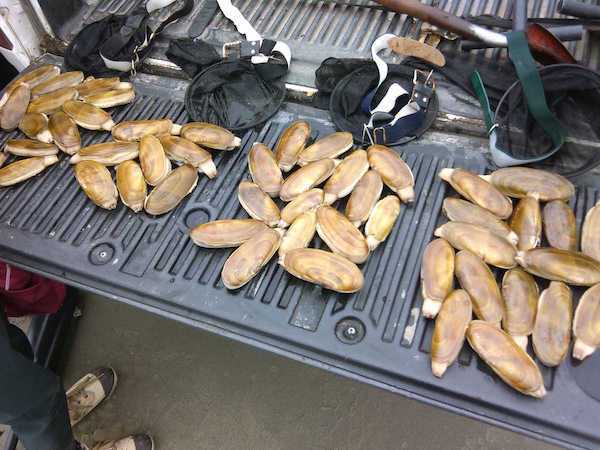 A surf clam, the razor is found in abundance on our northern Oregon beaches, where it reaches over 5 inches in length. 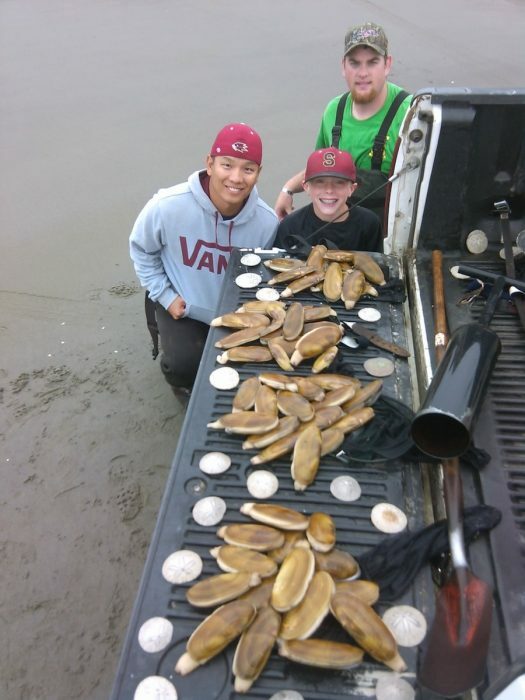 Razor clamming is a wonderful familial activity with everyone wanting to join in on the fun. I will be clamming with you, and I will show you the correct techniques to harvest razors without breaking their shells. 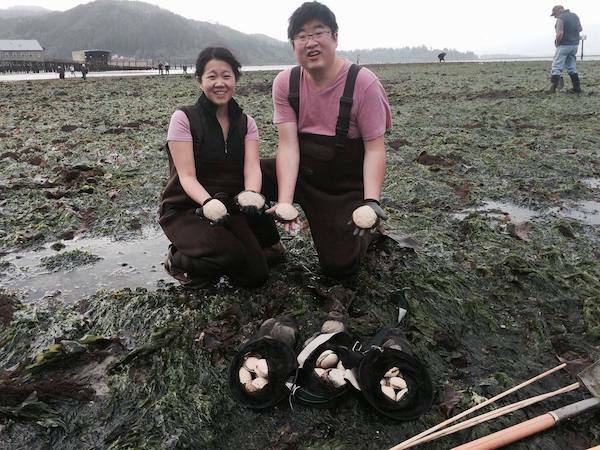 My guided trips will coincide with quality “minus” low tides, so we have plenty of chances for good clam “shows.” When booking one of my guided razor clam trips, I will give you a set of dates with great low tides to choose from. I can take up to 6 people per group, but I can accommodate individual diggers as well. 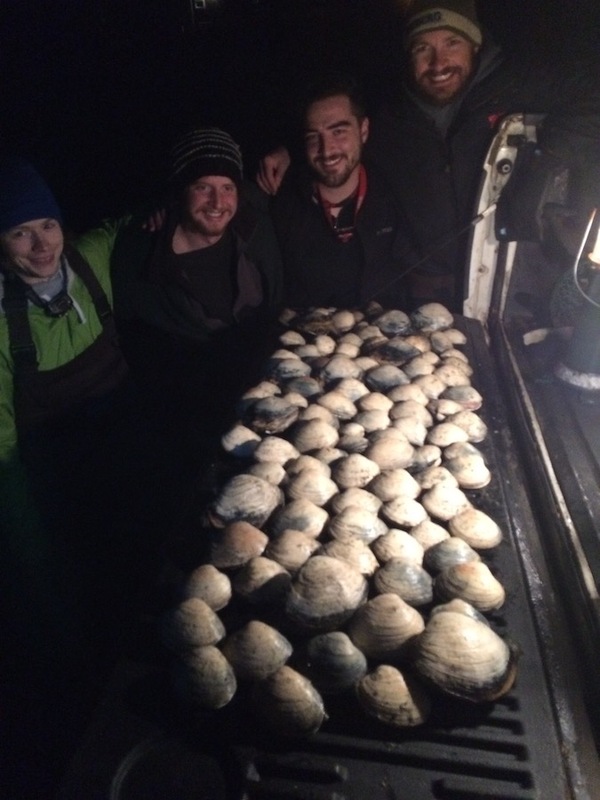 Our Oregon Estuaries are rich with several species of bay clams. 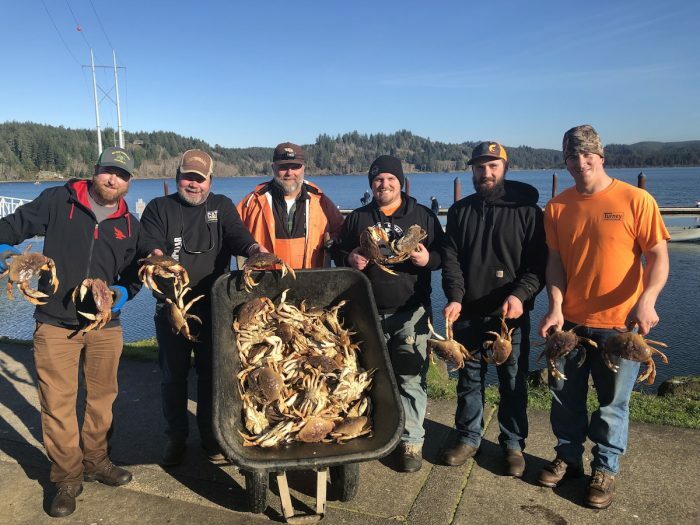 I like to dig gaper and butter clams in our north coast bays. 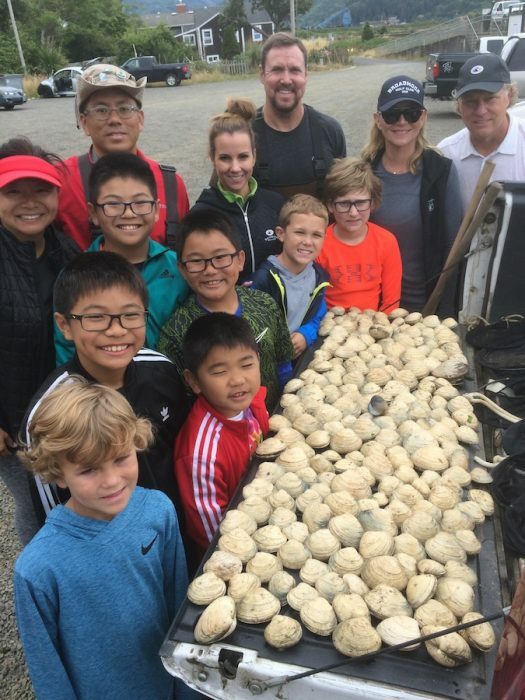 These large meaty clams are plentiful and a lot of fun to dig for. Weather is not so much an issue as finding a good “minus” low tide to dig. This is a great activity for the whole family! I can also bring up to 6 paying customers on these trips. Cost per crabbing and clamming trips are $75 per person. Waders are available for clammers. From drift boat float trips to outings with family and friends in our 25′ sled, Osprey has many adventures to choose from. 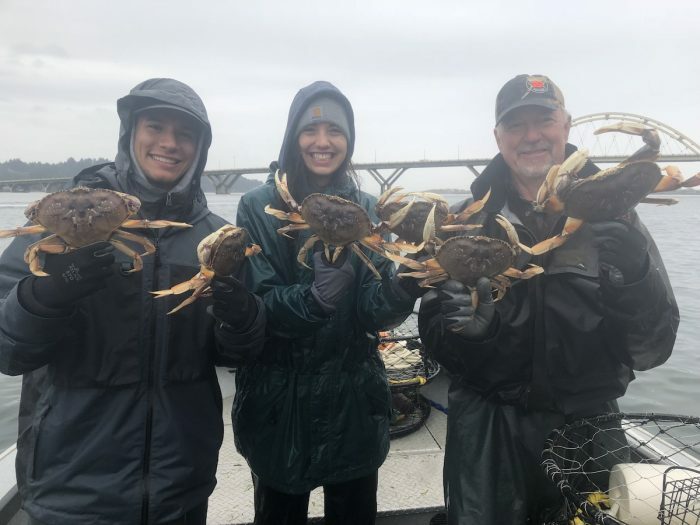 Our salmon fishing trips are often done in Astoria and Waldport, OR. You’ll find us steelhead fishing near Tillamook and Newport, OR among other places. 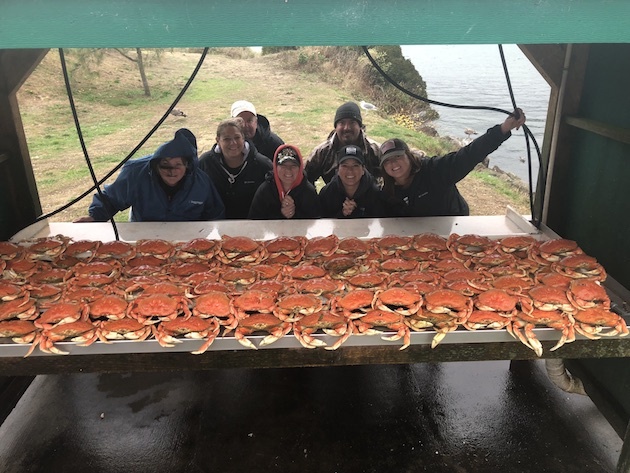 We offer walleye, sturgeon and perch tips in locations such as Rufus, The Dalles, and Warrenton, OR. Mushroom and berry picking adventures are done near Spruce Run Park in Seaside. Give us a call to book your trip today!